Mrs. Anupama Mehta has over 25 years of experience as an educator and has over 13 years of experience as PGT (Commerce). 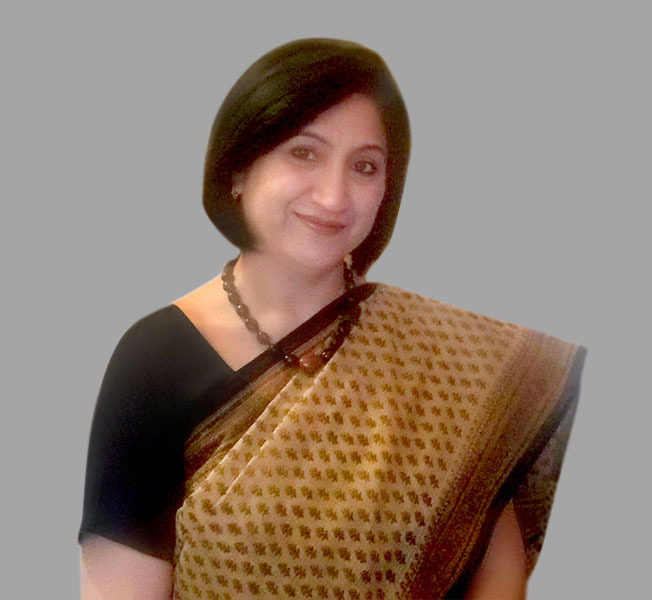 She earlier worked with Manav Sthali School, New Rajendra Nagar, New Delhi and Bhatnagar International School, Vasant Kunj, New Delhi in leadership positions. Ms Anupama Mehta brings with her a significant experience and a never-say-die spirit of a passionate educator. Education qualifications: B.Ed. from Annamalai university in 1st division; B.Com. and M.com., both from Delhi University and both in 1st division. The campus of Broadways International School a part of the IWS chain is located in Sector 76, Gurgaon. It is merely 850 mts away from the national Highway 48 (earlier called, National Highway 8) and in the vicinity of the famous Haldiram on the Delhi – Jaipur national high way just shy of the Kherki Dhaula Toll Plaza. The school caters to the residents to new Gurgaon, Sohna road and to sectors ranging from 72 to 102. The infrastructure of the school is very impressive with ~5 acres land and two buildings connected with each other in H-shape design. The campus has two huge playgrounds in other side of the academic blocks. The campus at Sector 76, Gurgaon is affiliated to CBSE board and has plenty of open spaces alongwith modern facilities like laboratories and tinkering spaces. The campus has CCTV cameras installed at multiple locations to ensure student safety and security in all respects.